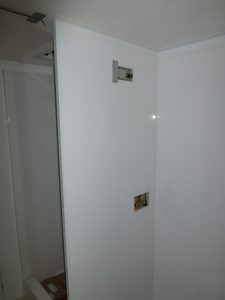 For example a panel can be used to form the wall to a shower cubicle – see pic below – such that access to the shower mixer valve is accessible inside a cabinet such as a wardrobe. 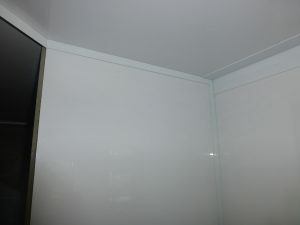 Use of the Internal Angle Trim and Internal Wall Channel creates a very neat and strong finish. 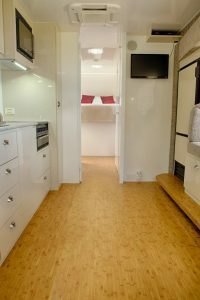 The internal space can even be divided into separate rooms as these pictures of a caravan shows where the en-suite and bedroom were totally separate. 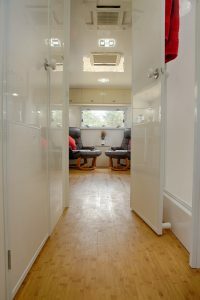 Using the Internal Wall Channel to ‘frame’ doors allow standard door hinges and handles to be used. 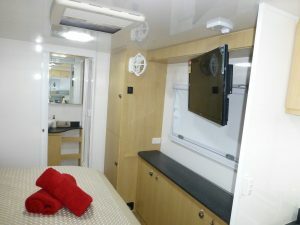 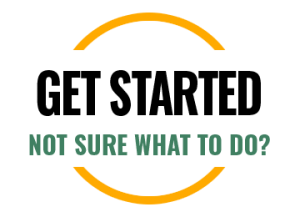 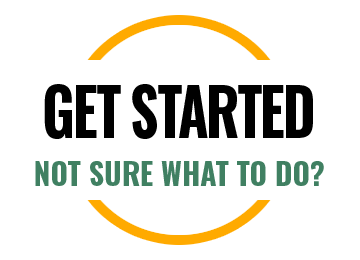 Why build my caravan or RV with DIY composite panels?